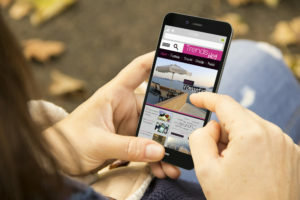 As smartphones advance, and become the preferred way to search for properties, real estate professionals have to keep up with evolving technology as well as marketing strategies.To compete in today’s competitive market place, real estate professionals must stay up-to-date on all the latest technology happenings that continue to change how consumers are doing business. 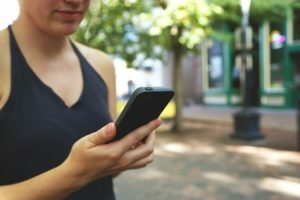 More and more real estate agents are using apps to streamline their business and make searches, and communication easier for their clients. In this post we are sharing 3 areas that we believe are important to stay on top of, in the rapidly evolving world of app marketing. Personalizing your app has grown in recent years, as more agents tire of getting lost in the shuffle on larger listing services. A personalized app not only allows you to customize functions and designs to suit your business but YOU become the key focus of app marketing. With marketing becoming increasingly more relationship-driven across all mediums, apps that are personalized with only your information means you can campaign directly to your clients and send them to an app that is specifically for you. Providing customized nurture streams that promise better engagement and more conversions. With the continued popularity of sites like Twitter, Facebook, and Instagram real estate professionals have a multitude of ways to reach out to new and potential clients. Your app will be available via the iTunes App Store and Google Play. These shops make it easy share the link via social media, email, and your website. For users who opt out of push notifications, social media pages can be used to inform buyers what’s new on your app. Engagement and creating relationships are the most important elements of being a real estate success. Tell your new clients and app users to use your push notifications. This is still an incredibly powerful feature for engaging with users. It’s the ideal way to make announcements of feature updates, price changes, and new property listings. In-app messages mean your users have an easy way to get in touch with you. When your customers have a question they can easily reach you or schedule a showing even when you are not available. This entry was posted in app development company, app marketing real estate, apps for real estate agents, Mobile Apps for Real Estate Agents, SnApp Development and tagged app development company, app marketing real estate, apps for real estate agents, mobile apps for real estate agents, snapp development. Bookmark the permalink.